Jamie Oliver and Jimmy Doherty return to Channel 4 with a brand new series of Friday Night Feast. Over twelve weeks, and housed in their pop-up caff at the end of Southend Pier, the boys will be joined in the kitchen by a host of famous faces from Hollywood film heavy-weights and British TV Royalty to top notch comedians and world-class athletes. 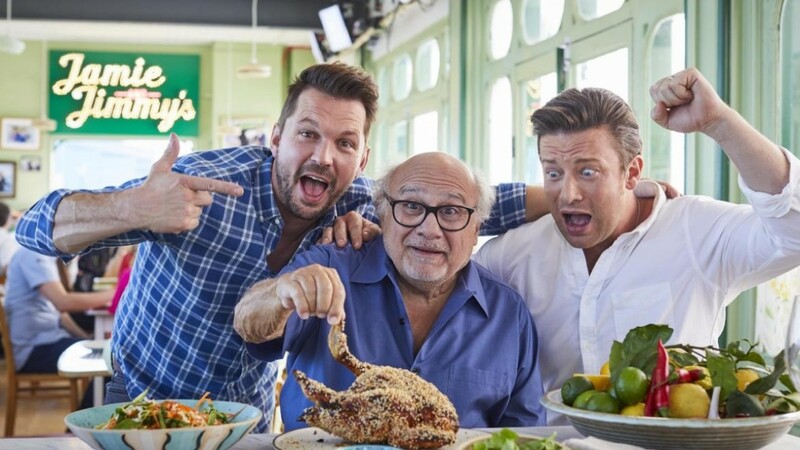 From across the pond, Hollywood icon, Danny DeVito and Academy Award winning actor Jessica Chastain join them in the kitchen during the series. British talent will include Hollywood stalwart – star of stage and screen, Sir Patrick Stewart, Black Panther and Sherlock actor Martin Freeman, and new ‘Doctor’ and Broadchurch star, actor Jodie Whittaker, also actor / writer / presenter / activist Stephen Fry, actor Stephen Mangan, and the boys welcome their first Dame into the Southend bolthole, Olympian Dame Jessica Ennis-Hill. And trying their best to distract Jamie and Jimmy are funny people Harry Hill and Russell Howard. 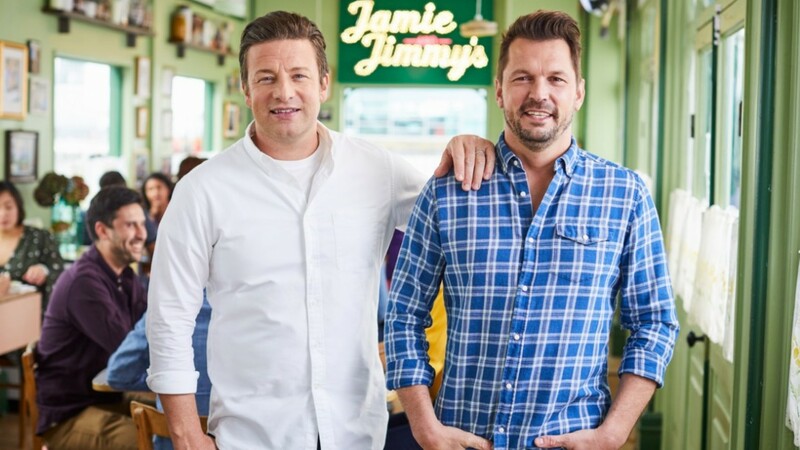 Across the series Jamie and Jimmy will also be back on the campaign trail to highlight a range of food issues and Jimmy will create some imaginative solutions to foodie dilemmas. ‘With this new series of Jamie’s Friday Night Feast we went in a totally new direction to previous series. We stripped it back to feel fresh, clean, and natural. Using multiple shapes and luma keys allowed me to pick out and brighten various areas of the café, whilst still being able to keep the highlights through the window of the pier and the sea helped to keep this fresh airy feel complimenting the tone of the show.